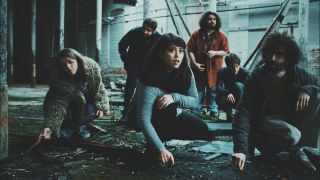 Bent Knee have shared a video for their new single Boxes. The song features on the Boston-based outfit’s latest album Land Animal, which came out in June 2017 via InsideOut Music, with the band launching the Brett McLoughlin-directed promo to coincide with the start of their UK and European tour with Haken. Those dates will get under way on Friday night (February 15) at Academy 3 in Manchester and conclude with a set at London’s Islington Assembly Hall on March 16. In a statement about Boxes, Bent Knee say: “When memory becomes tainted, what remains of the self? Boxes focuses on our collective fear of dementia – how we cling to our fading, distorted memories as we age. “When filmmaker Brett McLoughlin approached the band about directing a video for the song, we jumped on the chance to bring a visual representation of the track to life. Find a full list of Bent Knee’s upcoming live shows below.